Try a private beading class as any easy to schedule alternative to Beadworks’ regular jewelry making class schedule. Think of it as some creative ‘time for me’. Relax while our knowledgeable staff helps you learn and get your creative juices flowing! One hour is just $75 and includes one-on-one attention and all the instruction you want or need. Use the time to gain jewelry making skills or get help in creating your dream piece of jewelry. Professional jewelry designers find private lessons in jewelry making especially helpful. 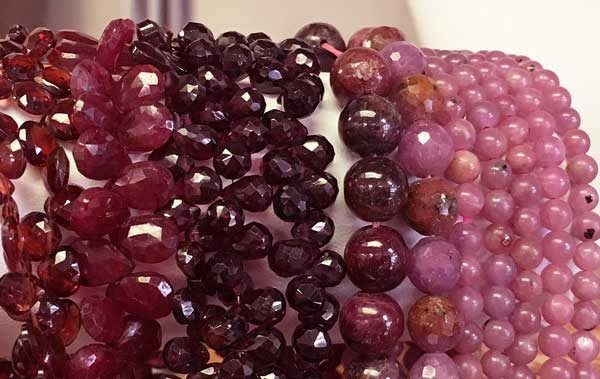 Laurie, a Beadworks’ favorite, is a retired interior designer who was looking for a new profession and hobby to do to pass her time and keep her creative juices flowing. She found us at Beadworks and picked up bead stringing with fun, chunky semi precious beads. Laurie takes private lessons to get feedback and to have us help with finishing work before she puts her handmade jewelry out for sale. Successfully selling her handmade beaded jewelry now out of a couple stores around the Fairfield county, Laurie is absolutely loving her new passion!